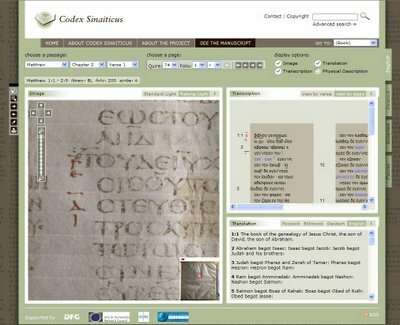 Digitisation of the Codex Sinaiticus. See http://codexsinaiticus.org/en/ for details. I went to a digital preservation conference recently where the focus, to my surprise, was mainly on digitisation projects and programs. Many seem to believe that by turning paper records into digital images they are preserving them. But is this the case? There is an argument to be made that by digitising you can reduce use of the original paper records – and reduced use can help to preserve the paper records. Digitisation also ensures there is a copy of the records that can be backed up and protected should the originals deteriorate or be subject to a disaster. However, digitisation and digital preservation are two distinct activities. If you digitise, you still need to consider and plan for the digital images so that they are accessible, readable and usable for as long as they are required. This is particularly important if the digital images are going to replace the original paper records as evidence of business. The same kinds of strategies we apply to ‘born digital’ records need to be applied. See our Managing digital records guidelines for details. Rather than ‘reinvent the wheel’ any further, let me point you to an excellent blog post on this very subject! See Kristin Snawder’s post Digitization is different than digital preservation on the The Signal, the blog of the Digital Preservation team at the Library of Congress. the Digitisation dilemmas blog post on Future Proof. « Here comes everybody: What does information ubiquity mean for the archives? Whilst there are issues with preserving paper records, a new set of issues arise with digital records that need to be addressed, ie, security, storage medium quality. It seems that every technolgical advance creates it’s own set of problems. Cause and Effect? I had a look through Kristin Snawder’s post ‘Digitization is different than digital preservation’, which was an interesting read, thanks. It misses an important factor, though, that I am sure you are aware of and that was pointed out in the excellent digitisation courses held by Barbara Reed: digitisation projects do not start with scanning but with planning. Barbara also made the important point very well through a flowchart showing that digitisation is the small box in the middle of the digital preservation process! So true Louise! Thanks for the comment. Many managers seem to think that you can whack in a scanner and start pushing the pages through with no other resources and planning required. Digitisation will have a massive impact on the way an organisation manages its information resources. Planning and proper consideration of all the issues BEFORE digitisation is essential. Where posssible records managers should be aware of and advise on digitisation in their organisations.